There is no doubt that Iraq has descended into a civil war, pitting Shi'a against Sunni. In 2004, the former leader Al-Qa'idah in Iraq, Abu Mus'ab Az-Zarqawi, wrote in a letter that the only way to galvanize the Sunnis into supporting the presence of his group in Iraq was to cause sectarian strife, to plunge the country into civil war. To this end, one of the attacks he ordered was the February 2006 destruction of Shi'a Islam's fourth holiest site (see Attack on Major Shi'a Shrine in Samarra'. Since then, the sectarian violence has spiraled out of the control of both the coalition and Iraqi security forces. The Iraqi government of Nuri Al-Maliki has proven itself either unwilling or incapable of controlling the violence. Many Sunnis believe he is nothing but a puppet of both Iran and the radical Shi'a cleric Muqtada As-Sadr. (See my earlier piece, Iraqi prime minister and the militias.) His nickname in the Sunni areas is al-irani, "the Iranian." As-Sadr's influence was again evident as Al-Maliki cancelled a meeting with the President of the United States, possibly in response to a threat form Muqtada As-Sadr that he would pull out of the Iraqi government if the meeting was held. The prime minister of Iraq, who owes virtually everything to the American forces in his country, refuses to meet the commander in chief of those forces? Is this arrogance or mere stupidity? According to a memorandum from American national security advisor Steve Hadley, there are a lot of questions if Al-Maliki is capable, or more importantly, willing, to confront the Shi'a factions that have responded to Az-Zarqawi's challenge and created a civil war that only plays into the hands of the Sunni Iraqis and Al-Qa'idah in Iraq. Al-Maliki needs to either istayqaz washam al-qahwah ("wake up and smell the coffee") or he should be gone. If he cannot or will not get handle on the security situation in Baghdad - and that means reining in the jaysh al-mahdi ("army of the mahdi") - then he needs to go. There needs to be someone that can establish control over Baghdad. Most of the rest of the country is fairly ethnically determined. Baghdad is the major place where the Sunnis and Shi'a are mixed - we'll exclude the Kurds since they have pretty much established a quasi-state in the north. (See my Kurdistan - Federalism or Independence? Recent reports that members of the Lebanese Shi'a Hizballah have been training fighters of Iraqi cleric Muqtada As-Sadr's militia makes perfect sense. The fact that the training is facilitated by Iran and possibly Syria comes as no surprise. Iran has a vested interest in what happens in Iraq. 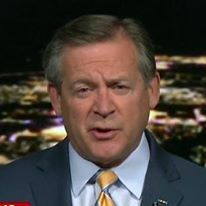 It also has a vested interest that the future government that arises from the current civil war is at best beholden to Tehran or at worst merely friendly to the Islamic Republic. Recent visits by Iraqi government leaders to Iran underscore the strong ties between Shi'a Iran and an Iraqi government dominated by Shi'a members. So, Hizballah ties to their fellow Shi'a in Iraq make sense, just as ties between Iran's Shi'a and the Arab Shi'a in Lebanon and Iraq make sense. Remember that Iraqi prime minister Nuri Al-Maliki is a member of the Shi'a Dawa' party with close ties to Iran, not to mention his close ties with Muqtada As-Sadr. According to U.S. intelligence officials, Hizballah has been training As-Sadr militia men in both Lebanon and Iraq. The logistics of this are quite simple. There are routine Hizballah resupply flights between Iran and Syria with overland transportation to Lebanon. Personnel from Iran - such as members of the Al-Mahdi Army - could easily be moved to Lebanon for training. Likewise, trainers from Lebanon could easily be moved to Iraq. Using Hizballah fighters as trainers simplifies matters since the Iraqi and Lebanese Shi'a both speak Arabic, while the Iranians speak Farsi. 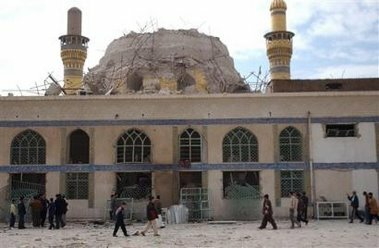 An interesting note - the Iraqis sent to Lebanon for training by Hizballah called themselves the "Ali Al-Hadi brigade," the name of 10th Shi'a imam and the namesake of the mosque (photo) in Samarra' whose destruction ignited the current civil war. Gaza - the next Lebanon?